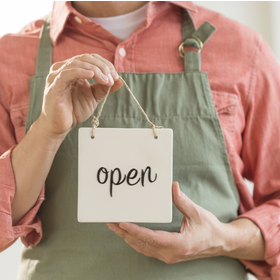 If you are a small business owner who is looking to sell products or services online, then you have come to the right place. With online sales skyrocketing in the last several years, now is the time to give ecommerce a shot. 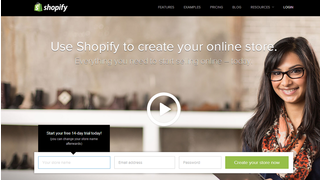 There are 5 main options for setting up an online store. We’ll discuss each below and also give you a ballpark cost for each option. The easiest way to setup a basic online store is just to use PayPal’s standard payment option, which is included in every free PayPal plan. Basically, if you have an account with PayPal you can download HTML code from PayPal that allows you to put a payment button on your website pages. You can edit prices, and if you have multiple products/services, just add extra buttons. When customers click on the button, they will be sent to PayPal’s site to checkout and pay. 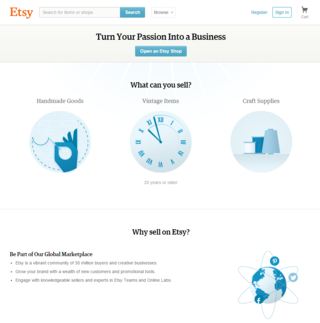 Probably one of the easiest and cheapest ways to set up an online store is to use Etsy.com. With Etsy, you basically just put in some info about yourself or your business, add some items, and then start selling. It’s a little bit more complicated to actually get sales, but this gives you an idea of how it works. There is no monthly fee. However, Etsy is a much more product-oriented site, specifically for handmade items and craft supplies. Here are some tips on How to Be Successful on Etsy. 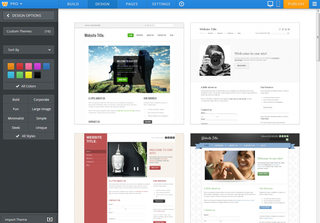 If you want to build an online store for yourself, a website builder is your easiest and cheapest option. Although building a website used to be only for experts, today’s drag-and-drop builders allow anyone to create a nice looking website in under an hour with little technological know-how. Most website builders allow you to sell 1-5 products on their free plan (if they have one). However, nearly every website builder also has an online store/ecommerce plan, which allows you to sell more products and gives you dedicated ecommerce tools. Of course, it also costs more (around $15-$30/month). Here’s a comparison table of major website builders. If you are tech-savvy and want to build a highly-customized online store for your business, WordPress gives you the most options. You can edit almost any aspect of your business website and online store. Also, using WordPress’s plug-ins, you can add almost any functionality to your site via third-party sources.